Black Friday is the perfect time to pick up a bargain on a food processor for making nut butter, an Instant Pot for making beans from scratch or super-fast soups or a Kindle to make reading vegan guidebooks while you travel easier. I’ll be curating a list of the best bargains for vegan cooks and travellers here! Check back for the latest deals — I’ll be updating frequently as I find new bargains. 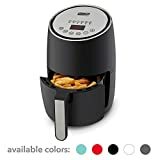 If you’re aiming to eat healthier in 2019, the air fryer is a way of preparing fried foods like fries with MUCH less oil. And this air fryer is 29% right now! Plus, you can get a vegan air fryer cookbook to go with it. Kim, who runs Brownble (with her husband Carlos), is an AMAZING cook, and I can say that with confidence since the food she cooked for me when I went to Madrid was some of the best food I had during my trip there (and I ate in all the best vegan restaurants in Madrid)! 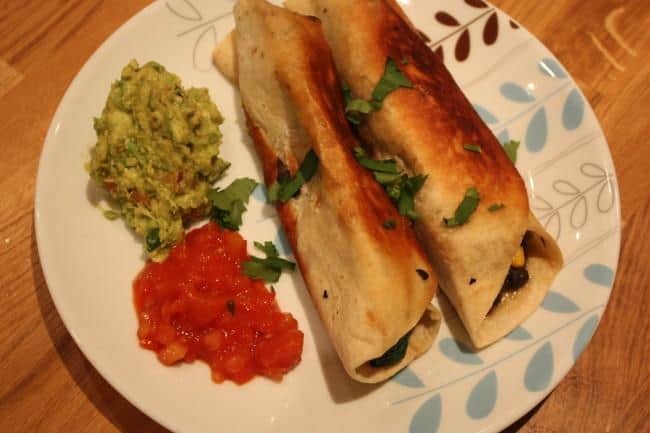 For Black Friday, she’s running a 30% off sale on her online vegan cooking course, MyBrownble! 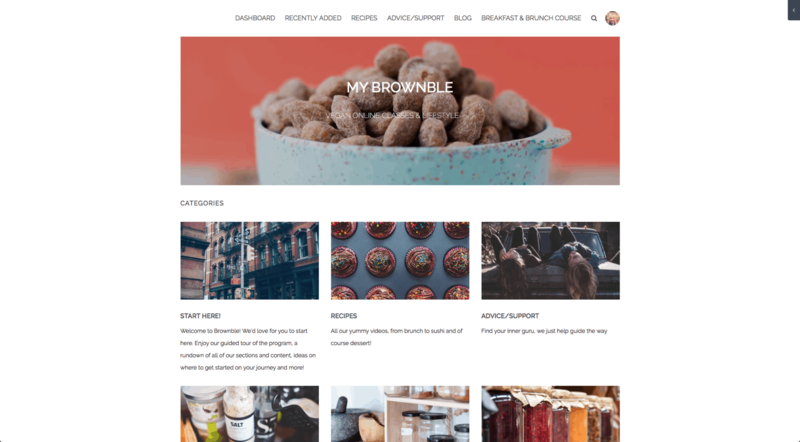 Get back in the kitchen with Brownble! 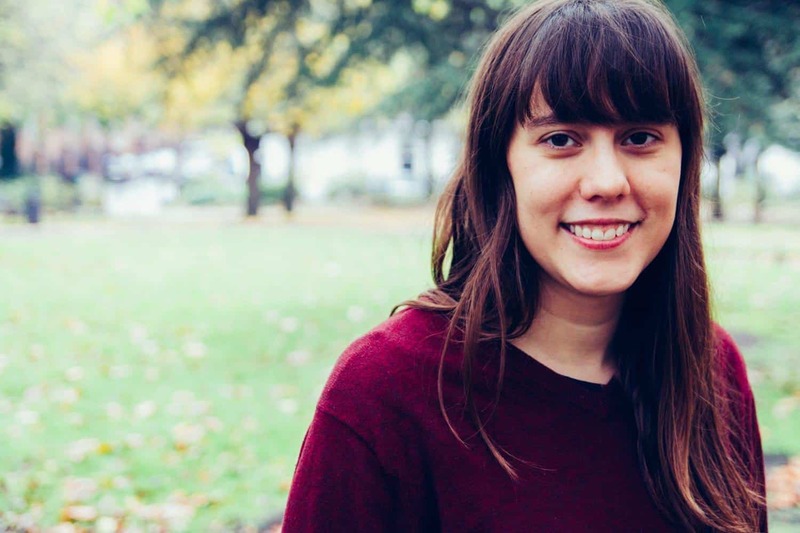 Plus, her programme goes way beyond just learning recipes; Kim has an incredible way of talking about self care and improving your relationship with food. Get the programme 30% off before midnight PST Sunday, November 25th. If you’ve been thinking of getting an Instant Pot, now’s the time. You’ll be able to quickly cook beans, rice and soups and you can even get a vegan instant pot cookbook. 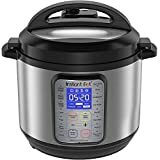 And the Instant Pot Plus is on sale on Amazon for Black Friday right now! 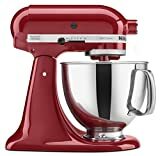 The KitchenAid mixer is the workhouse of the kitchen and they last for many decades–so if you love baking or you want to whip up perfect aquafaba, then you can’t go wrong with a KitchenAid. Right now they’re on sale for Black Friday on Amazon! 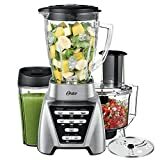 This was one of my top choices for the best blenders for vegans so grab it now while it’s $100 (34%) off! Blenders are indispensible in vegan kitchens, particularly if you’re committed to eating healthier, plant-based fare in 2019. From making smoothies to soups and even homemade cashew cream and plant milks, a high-speed blender like the Blendtec will make your life much easier. And while a high-speed blender seems like a big investment (and is) it pays off over the years because I’ve found good quality blenders tend to last years or decades rather than months like the cheap blenders I used before (you know the ones — the ones that leave big ice chunks in your smoothie). Blendtec blenders are famous for their super-strength; Youtube videos even show them crushing up iPhones. 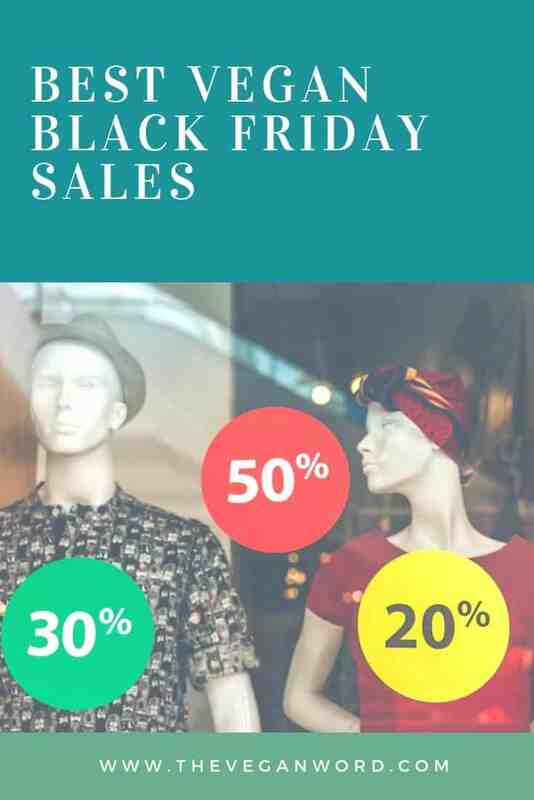 This is a great Black Friday sale. Don’t miss this deal! If you’re more in the Vitamix camp than the Blendtec one, you’re in luck because as part of Black Friday over on Amazon, a few Vitamix blenders are up to 30% off! I’m running a Black Friday sale on my vegan travel guides! Get 30% off on electronic copies until Tuesday, the 27th of November. 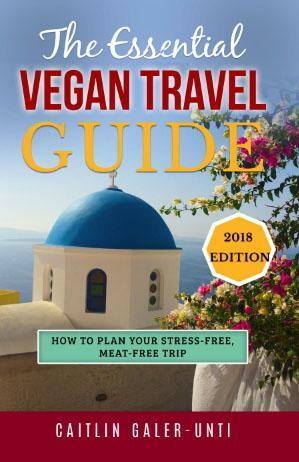 This is my essential guide to travelling as a vegan, and it makes a perfect gift for any new vegans or vegans who love travelling…but want to know how to find plant-based food around the world. I share my best tips, techniques and tricks for finding meat-free fare, anywhere in the world. Beyond food, I cover finding vegan-friendly accommodation, airline-sized toiletries and making connections with other vegans on your travels. For Black Friday: get 30% off electronic copies until the 27th of November. 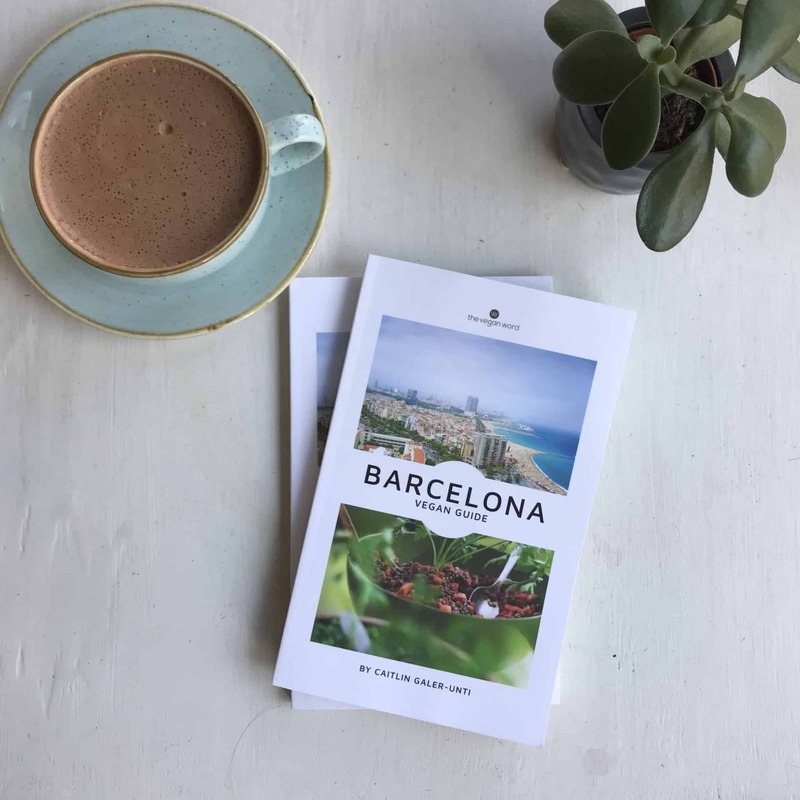 If you or someone on your shopping list is headed to Spain in 2019, then my guidebook to Barcelona should be on your list. 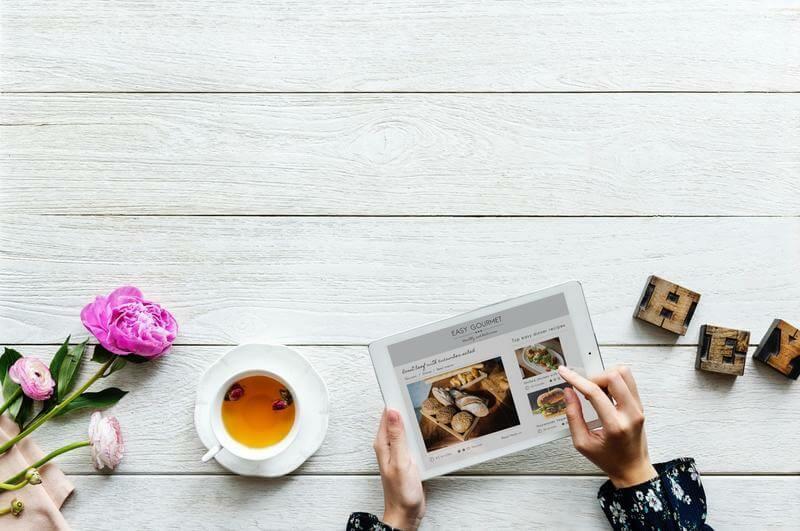 It’ll show you where to find the best vegan food around the city, as well as showing you where to get plant-based food near the top sights, vegan shopping (shoes, toiletries etc) and where to stay. Basically, think Lonely Planet meets HappyCow. Order before the 27th of November and get 30% off; plus, forward me your receipt ([email protected]) and I’ll give you free bonuses! Bonuses include: bonus chapter on travelling Barcelona with non-vegans, an electronic map of all the vegan/vegan-friendly spots in the city plus exclusive discounts. For Black Friday: Get 30% off until 27th November. Plus get freebies when you email me your receipt ([email protected]). Need more space for all those holiday snaps you’re taking? Or do you take too many photos of your vegan meals, and need more space on your camera? Samsung SD cards are on sale for Black Friday, and they’re up to 50% off! 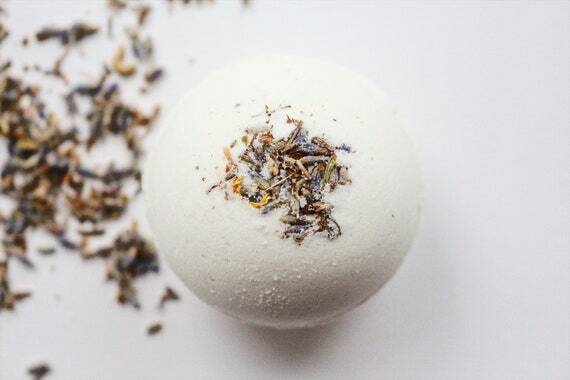 Bath bombs are the perfect gift for anyone who wants to spend some time relaxing–and lavender even more so. Plus, this lavender bath bomb is 20% off on Etsy right now! Need an ereader to read those vegan travel guidebooks? 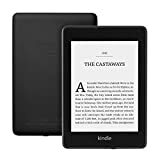 The Kindle Paperwhite is considered one of the best ones on the market, plus this one is waterproof and can play audiobooks via Bluetooth headphones. It’s on sale up to 30% off on Amazon UK now…. And rumour has it it will be on sale on Amazon US soon…I’ll update this space if and when it is! Kim, who runs Brownble (with her husband Carlos), is an AMAZING cook, and I can say that with confidence since the food she cooked for me when I went to Madrid was some of the best food I had during my trip there! For Black Friday, she’s running a 30% off sale on her online vegan cooking programme! Get back in the kitchen with Brownble! Plus, her programme goes way beyond just learning recipes; Kim has an amazing way of talking about self care and improving your relationship with food. Get the programme 30% off before midnight PST Sunday, November 25th. Po Zu make sustainable shoes (not all vegan but they have a big selection) and until the 30th of November they’re offering a whopping 40% off with the code ‘bethechange’. I already ordered a pair of trainers made with organic cotton and natural rubber soles. On their site you can filter the vegan shoes or if you click the link above I’ve linked there. I recommend these baking trays in my list of essential vegan kitchen tools, because they are free of a nonstick coating and therefore will last years. Plus, the heat conductivity of aluminum means your baked goods will cook and rise evenly. 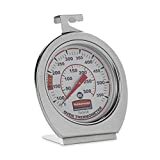 If you’re seriously into your baking, then you absolutely need an oven thermometer. Most ovens do not heat to the temperature the oven reads and with the Rubbermaid oven thermometer you can adjust accordingly. Since many baked goods are so sensitive to changes in temperature, this can be the difference between a baked good that rises and one that doesn’t. This laptop bag/backpack is made with vegan leather and waterproof canvas and it’s currently 10% off on Etsy right now for Black Friday! Trying to reduce your plastic waste? This insulated bottle is perfect for helping you do just that. It keeps cold drinks cold and hot drinks hot, plus it has an opening big enough to fit most ice cubes. It’s triple-walled, BPA free and won’t form condensation on the outside, and it’s on sale now for Black Friday! 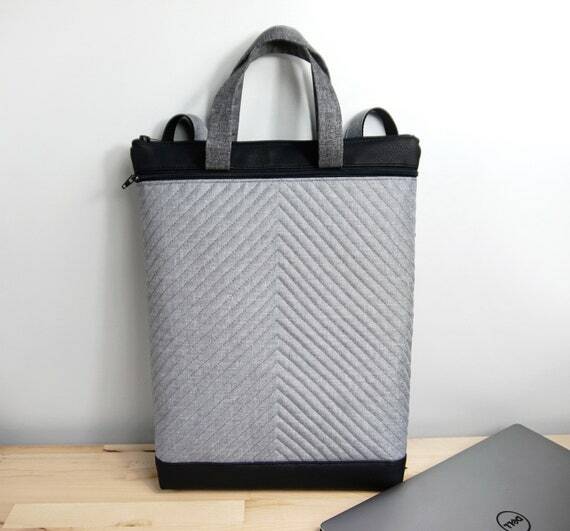 Amazon’s offering 20% off on a selection of their brand range of luggage and backpacks during Prime Day week, including this travel backpack (made of synthetic materials). If you’re looking at the other luggage, check it doesn’t have leather straps or handles. The sale also includes packing cubes and toiletry bags. This is my top pick for a plastic-free, glass blender (see my vegan blender buying guide) and it’s on sale right now! If you’re looking for a blender that has a glass jug rather than a plastic jog, then the Oster is my top pick in the North American market. 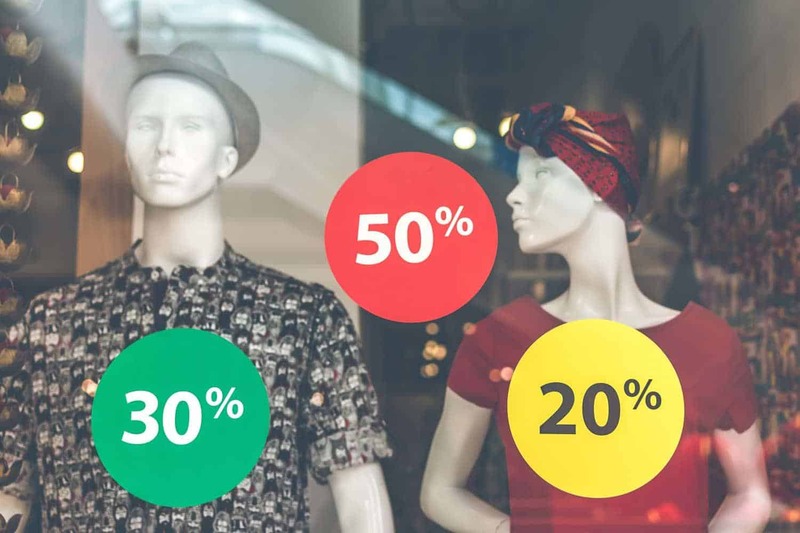 Save more than 25% right now. 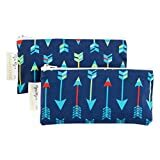 If you’re looking for a greener alternative to Ziploc snack bags, these reusable bags are BPA free and machine washable! Note that the reviews say they’re not entirely airtight so you might not want to store certain foods like cut apple slices that may brown (or you might just not care if your apples have browned a little!). Thinking of going vegan in 2019 but not quite sure how? That’s where The Roadmap, a programme from Kim and Carlos over at Brownble, comes in! They were kind enough to give me a sneak peek into the course and while I’m still working my way through all the course material (since it’s so comprehensive), I have to say it is THE MOST COMPREHENSIVE course on going vegan I have EVER come across. Absolutely EVERYTHING you need to know is in here. Best of all, Carlos is a doctor and Kim and Carlos take an evidence-based approach to everything. You will learn absolutely everything about going vegan, from why to how, and far beyond the plate (they also cover vegan travel, what to feed your pets, fashion and much much more). Get the programme 30% off before midnight PST Sunday, November 25th! Over on Etsy (one of my fave places to shop for unique items, mostly from independent sellers and many handmade), this vegan t-shirt is for sale for 30% off! Grab one now while it’s available. 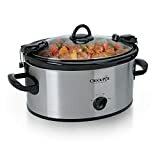 If you like the idea of your dinner ‘cooking itself’ while you’re at work, or you’re keen to cook more dried beans from scratch, then you need a slow cooker. I started buying and cooking dried beans from the bulk bins recently, and my Crock Pot has been invaluable in this. I don’t have time to stand over the stove making sure the beans aren’t boiling over, but I stick them in the crock pot and leave them for the afternoon, or sometimes while I sleep, and wake up to perfectly cooked beans! Note: This post contains affiliate links, meaning if you make a purchase through them, I will receive a small commission, at no extra cost to you. Thanks for your support!